← Can I Go to Jail for Keying a Car? If you are facing serious criminal charges, especially ones that are considered “wobblers”, meaning they can be a felony or misdemeanor depending on your plea deal, presiding judge, defense lawyer, and more, it is important that you understand just how our state classifies felony offenses. Continue reading to learn the Indiana classification system used for felonies, as well as, who to trust for aggressive criminal defense that will protect you from the maximum penalties for your particular charges. 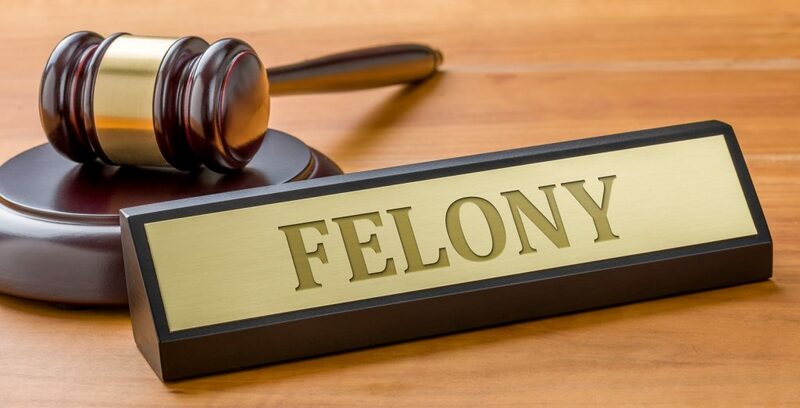 A felony is any crime that is punishable by more than 1 year in jail, and up to $10,000 in fines, as well as, a long list of additional penalties, such as fines and community service. The least serious classification of felonies and are casually referred to as “wobblers” in the legal industry since they can often times be reduced to misdemeanors with the help of an experienced criminal defense attorney. Back in 1977, Indiana adopted a legal classification system for felony offenses using an “A” through “D” model, with “Murder” being its own class offense. All felony offense in Indiana, then and now, are penalized with jail time. But in addition to jail time, all classifications were also accompanied with the penalty of paying fines up to $10,000. In 2014, the 2013 Criminal Code Revision went into effect in Indiana, thus changing the classification system for felony offenses from an alphabetic one to a numerical one. With “Murder” still being its own class offense, all felonies change from “A – D” to “1 – 6”, with a Level 6 felony being the least serious. Along with the system change, the time in prison changed as well. The primary purpose of the 2013 Criminal Code Revision was to help separate the more violent crimes from offenses known as “victimless crimes”, such as drug and paraphernalia possession. In fact, these changes significantly reduced the penalties for possession of drugs and controlled substances. For example, if a person was caught with 3 or more grams of cocaine on them prior to the changes, they would have been charged with a Class B Felony, which at the time, was punishable by 6 to 20 years in prison. But after the changes to the criminal code, they would likely be charged with a Level 5 Felony, which is punishable by 1 to 6 years in prison. Call Attorney David E. Lewis at 317-636-7514 for aggressive criminal defense in Indianapolis, Indiana for your felony crimes. Our law firm offers free initial consultations to discuss the best strategies of defense for your case. Avoid the maximum penalties for your misdemeanor or felony criminal charges by calling David E. Lewis, Attorney at Law, today! Schedule a Free Initial Consultation, Today! This entry was posted in Criminal Law and tagged Felony attorney Indianapolis, Felony Crime Lawyer Indianapolis, Felony crimes classification Indiana, Felony levels of punishment, Indiana Felony offenses, jail time Felony Indiana. Bookmark the permalink.